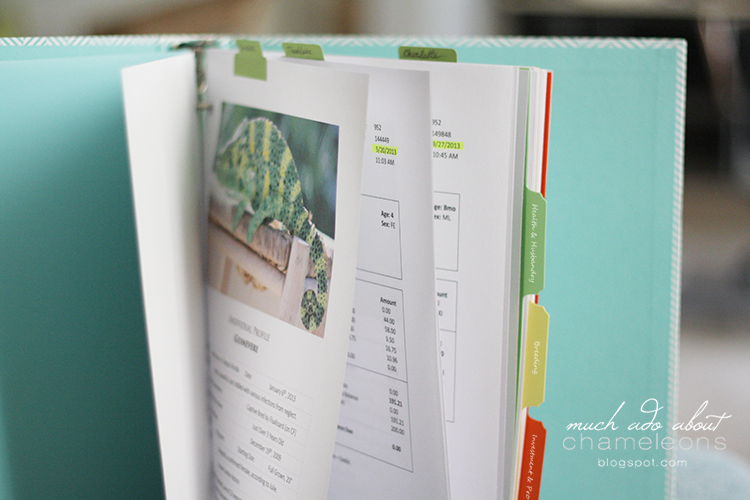 I few weeks ago I covered how to put together a useful chameleon (or other reptile) reference binder that would keep track of important information, Here. However, every time I would reach for the binder to input a new weight or to file away new documents I was left feeling a little like the binder, in the form I had it, was not quite living up to its potential. So yesterday I paid Staples a visit, found new tab dividers from Martha Stewart, purchased a beautiful new aqua binder from Office Depot, piled up my documents, vet receipts, and weight records on the bed, and sat at my computer and re-did all my digital print-outs for the binder. So in light of this, I wanted to show it to you again, in hopes that the new way I approach the information I track will be more useful for others. 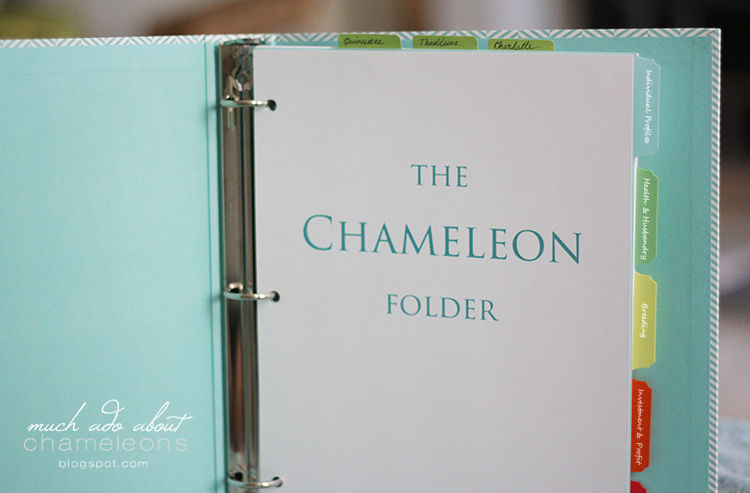 The binder, with the five major section tabs and the three tabs separating the three individual chameleons at the top. I love this binder! It's a really bright aqua and white herringbone pattern from See Jane Work. I added a gold tape label with white marker. Easy to change if I want to rename the binder. 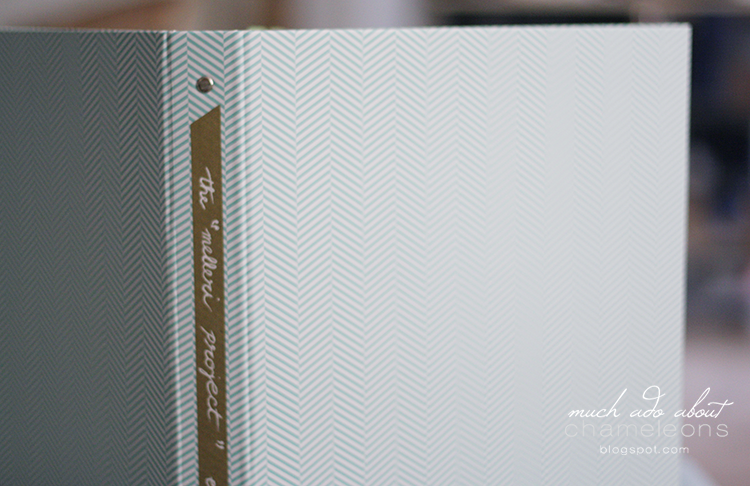 If something I do is functional as well as pretty, I'm much more likely to maintain it and keep it organized. I've always gotten extra points in biology from professors or peers for keeping the most visually aesthetic and neat lab reports! It's just how I am. I'll talk a bit about each one below. Each chameleon still gets his or her own profile page. I have included all sorts of information I did not have included in the first version, things like the vendor or individual I purchased them from, their contact info, any known life history or family history, and that sort of thing. 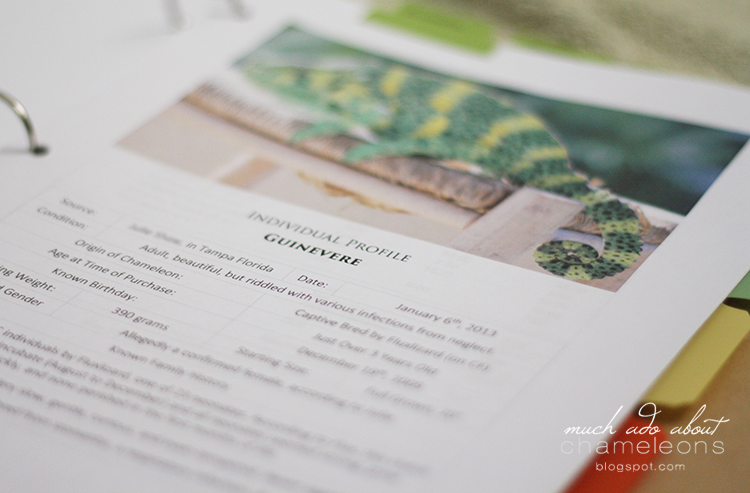 This is a much neater and more thorough individual profile for each of my chameleons now. Immediately following each individual's profile page are their medical records, if any. So above we have one of Guinevere's vet visit receipts from her treatment right after her profile. 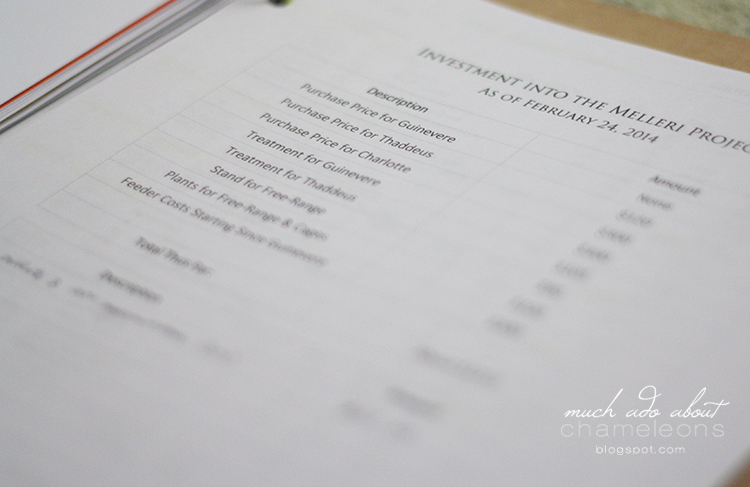 This allows me to go to each specific chameleon and track their medical treatment or costs. Because all the medicines each one has required are written right there on the receipt it makes it so much easier for me to go back and find the name of a specific medicine for reference. 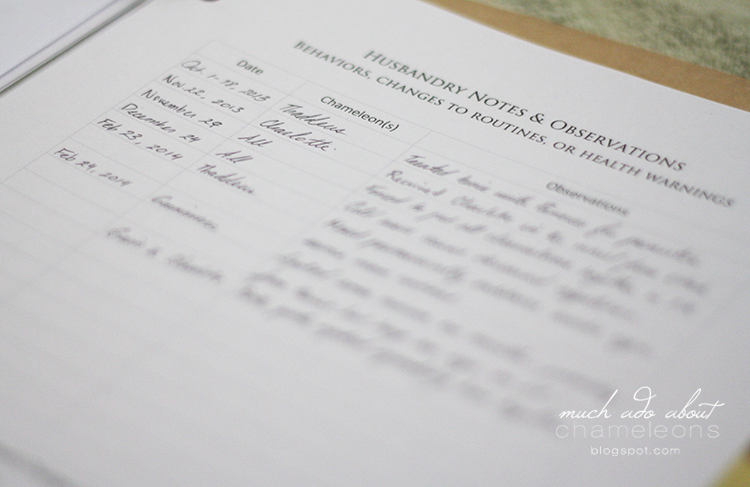 Then, in the following tab section "Periodic Weight & Health Checks" we have an example of an individual's health log. I decided to keep it one page per animal, in case I add more in the coming weeks/months. 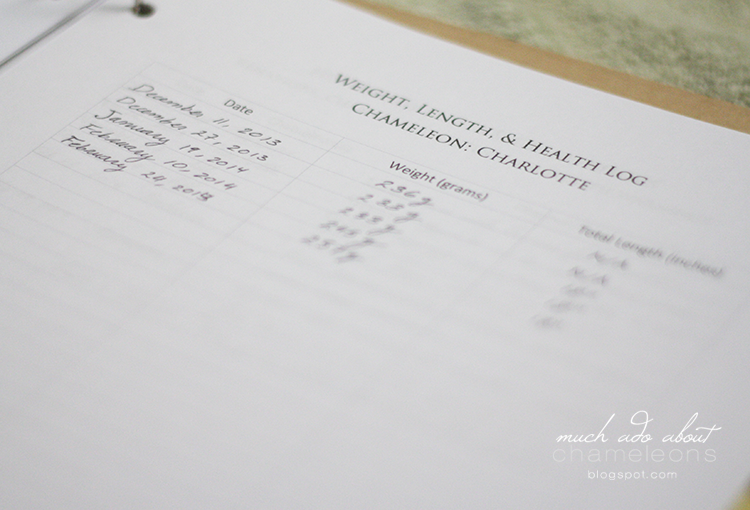 So above we have Charlotte's heath log, with the dates, her weights in grams, and her total length in inches (to see if she might still be growing). 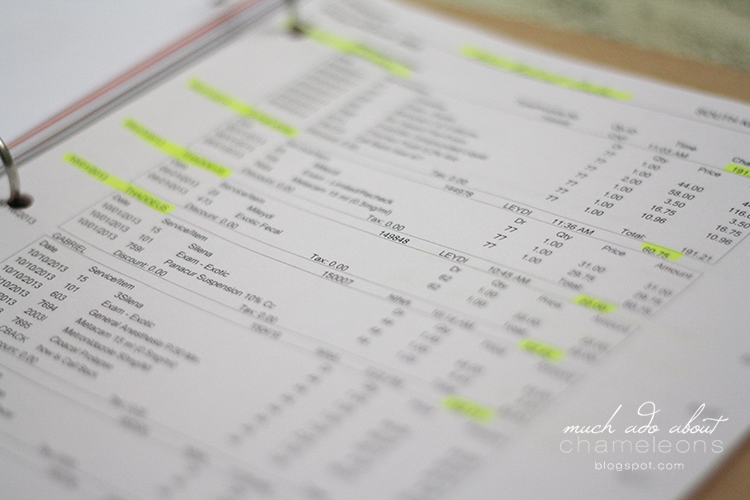 Below, towards the bottom of the page, there is another table where I track shedding dates. Following each individual health log I have a notes and observations page, where I write down any notes I may need with the date and the name of the animal it refers to. Things like changes in appetite, a strange behavior, the possible start of a medical issue, etc. Following that, I decided that I should probably write occasional "lab reports" about how the group is doing with their current husbandry (because husbandry & health go hand-in-hand). Here I would do an analysis of what I've been doing so far, what has worked, what hasn't, and what my next moves should be. These also jot down current husbandry parameters, such as average daily temperatures, amount of misting, and diet. Under the "Breeding" tab, I have made logs for males and females separately, and then one for future neonates. The one for females is above, and tracks who she mated with, how long gestation lasted, how long it took her to lay the eggs, how many eggs, whether the eggs were fertile or not, and information about incubation. 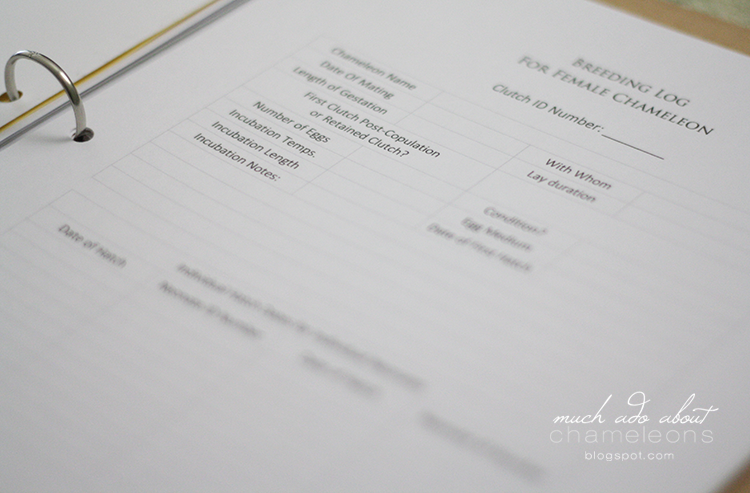 Towards the bottom of the page there is a table for the exact hatch dates of each neonate that results from said clutch. Here, on the other hand, is the log for males. It asks who the male mated with, how long the two were together, how copulation proceeded, if the copulation resulted in a fertile clutch, and other details of the resulting clutch. This method should allow me to track the verility of a clutch in respect of who the parents are. Say, if all of X and Y's clutches yield weak neonates, that will be a pairing I never do again. Finally, one of my new sections is "Investment and Profit." I have a horrendous memory for math and numbers, therefore it's important for me to track how much money goes into this project and then (down the line) track how much money I am able to make back (if any.) I find it important to know, especially for breeders, how much they are really investing in this hobby. If we ever want to sell hard-won captive bred offspring to the hobbyist market we have to know what is truly a fair market price for the animals we produce. For example, when I was asked last year how much I spent on vet bills in 2013, I didn't know but I was pretty certain that I hadn't passed the $300 mark by much. How much did I really end up spending at the vet for my chameleons? Over $640! I was more than 50% under! Shows how valuable it is to track these types of things, especially when running a business or a rescue where money is vital. I also have a summary sheet that my veterinarian printed out for me detailing all the medical procedures I had done last year. This puts all my vet expenses in one place, easy to refer back to. 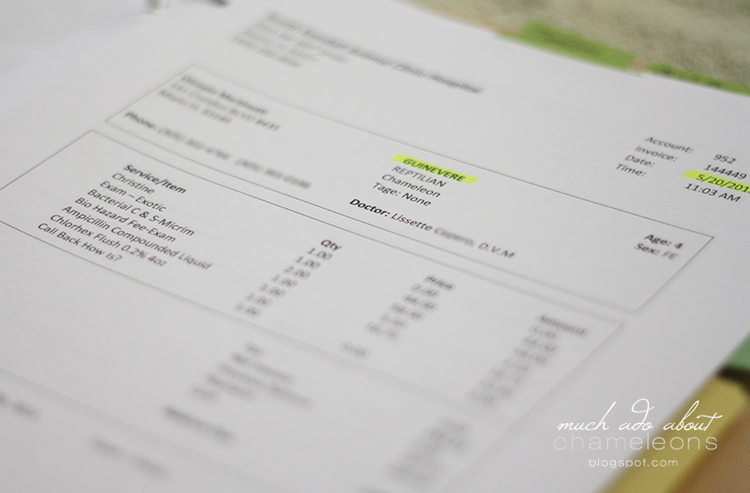 Vets are usually happy to re-print any receipts you ask for, so don't be nervous about asking for your pet's records. 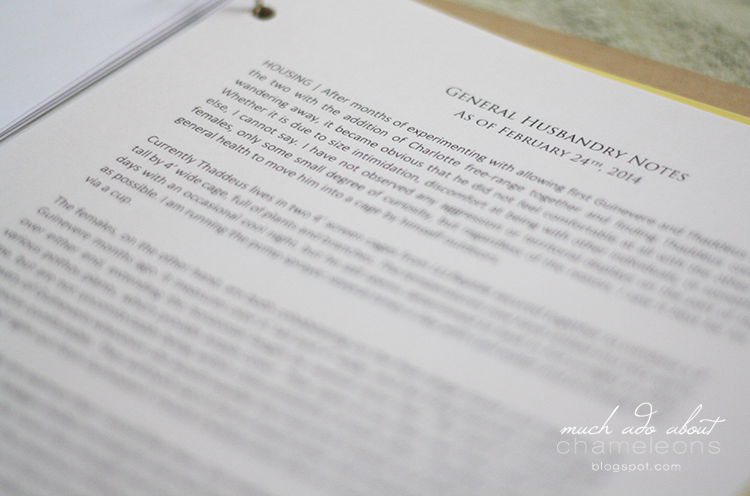 And the final section in my binder, once again, is "Melleri Project Future Plans." I am still doodling, planning, and calculating what my next moves with this species will be as far as breeding, housing, and rehabilitating. I have a dream of setting up a successful breeding operation, yes, but also to take in and rehabilitate injured, sick, or neglected Meller's chameleons from around the country. Therefore, I am already planning how best to set up these two operations, where my own private stock will be safe but where I can attend to new rescues, get them healthy, and place them into homes with capable chameleon keepers who will contribute to breeding efforts. 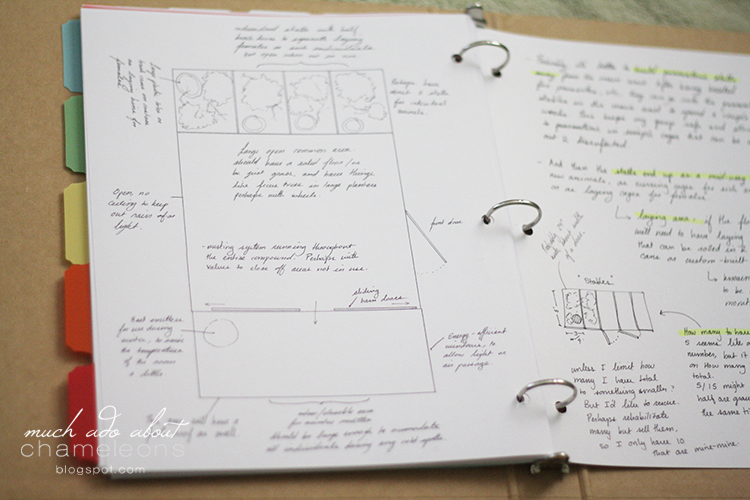 I still foresee this aspect of my planning to be at least 2 years away, but I am a planner at heart so I am already incorporating ideas as I see them. And that is it! 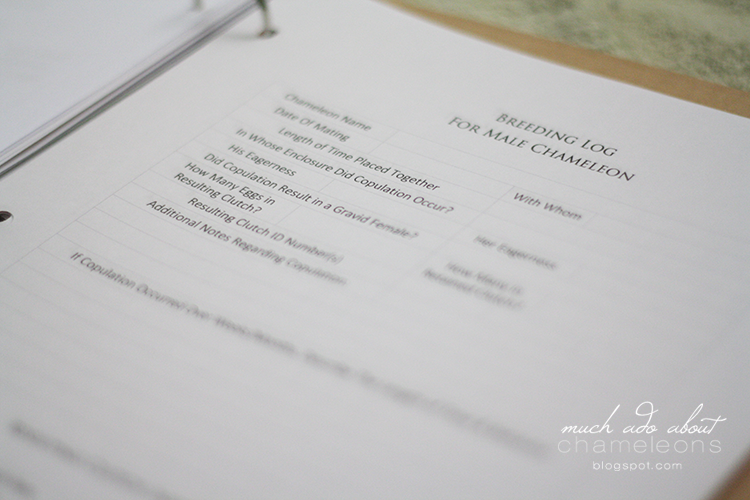 The new look at my chameleon record binder for what I'm calling The Melleri Project. If anyone is interested in having any of these printables for their own binders please don't hesitate to send me a message - I will be happy to email out the Word files that you can print out as they are or edit to fit your own needs. And I'd love to hear any ideas anyone else may have regarding keeping reptile records neatly organized and accessible! Thank you April! I'm glad it's been useful. I just like being organized when I can! Thanks so much Josie for the kind words! Absolutely, but I left the laptop with the files at home so I won't be able to send them out for a couple more days. As soon as I get back I'll shoot that over to you! Hello! I was looking to make a similar binder for my two panthers and was having trouble starting it. Yours look amazing! Could you send a copy to my email so I can use them for inspiration? franksc92@gmail.com Thanks!! I sent a thing through the "CONTACT FORUM" section with my email on it because I'm a little scared of the internet and what people can do with my information, but I was wondering if I could also have you send me the PDFs you used so I could personalize it for my family's medical binder. My name is Emily G.